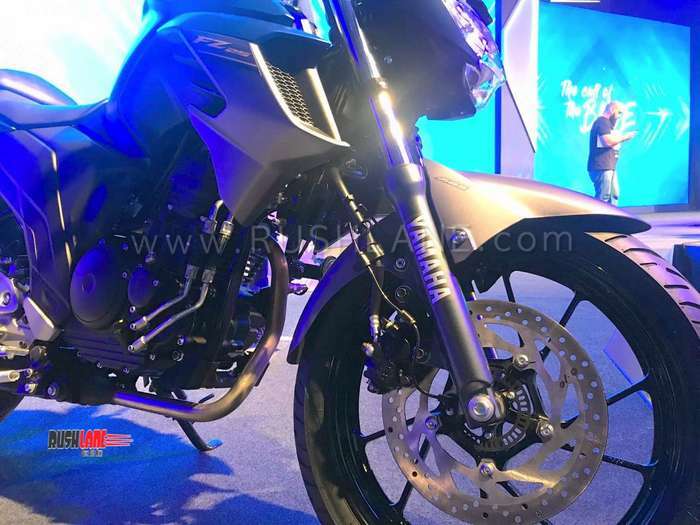 Along with the launch of the new generation FZ and FZS, Yamaha has also launched ABS variants of their 250cc Fazer and FZ in India. 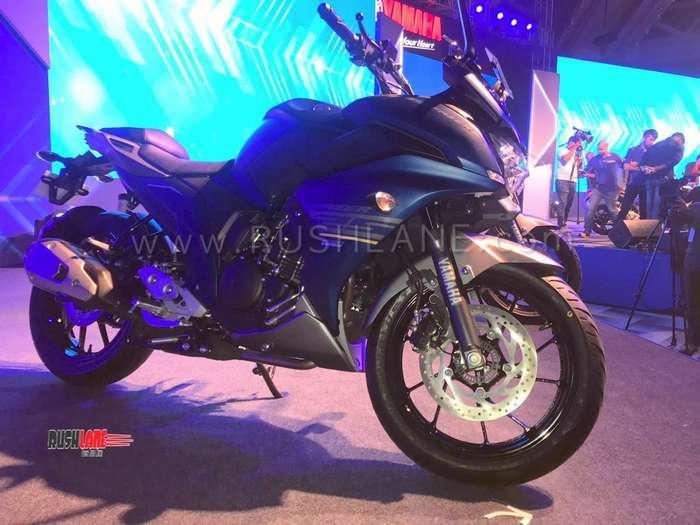 First launched back in 2017, minus ABS, both Yamaha 250cc bikes, the FZ25 and the Fazer 25 are now equipped with dual channel ABS. 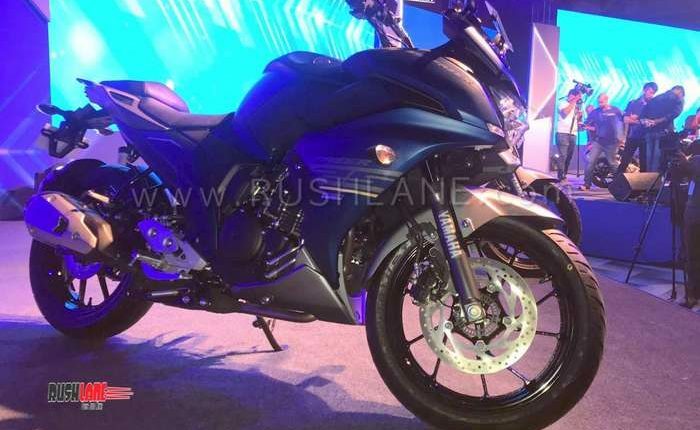 Price of the FZ25 ABS starts from Rs 1.33 lakhs while that of the Fazer 25 ABS starts from Rs 1.43 lakhs. 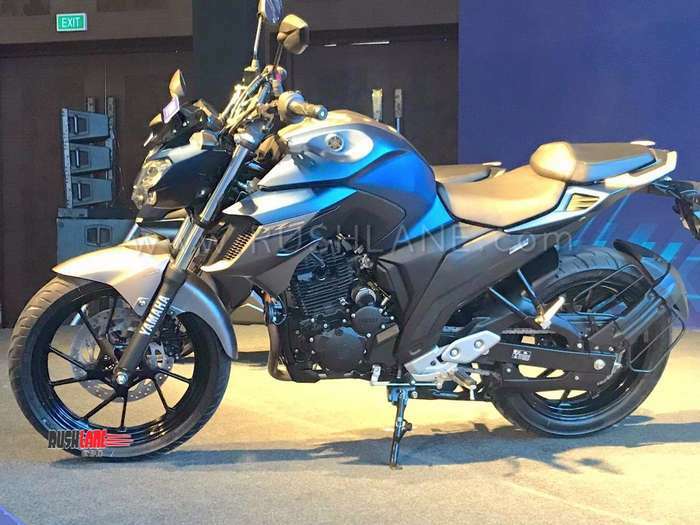 These are about Rs 12,000 higher than the non ABS variants of the respective motorcycles. Prices mentioned are ex-showroom. Marketed as a sports tourer, the 2019 Fazer 25 gets a wide seat and a more relaxed riding posture making it ideal for long distance travel. A low set LED headlamp, wide tyres, a fully digital instrument cluster, rear view mirrors and raised handle bars are also among its features. The Fazer 25 receives 41mm standard telescopic front forks and a rear monoshock with adjustable preload. 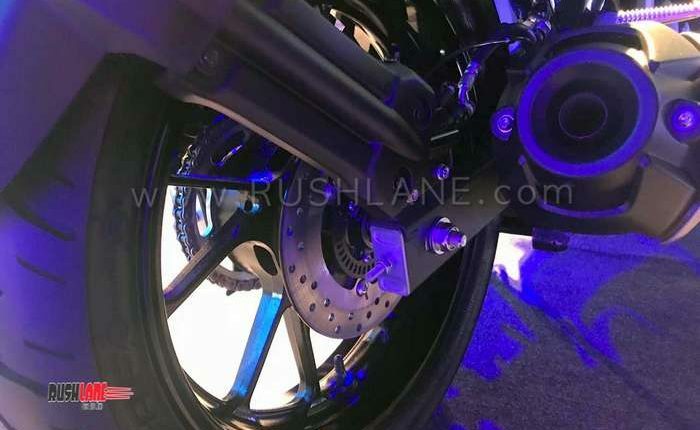 It also gets a 282mm front disc and 220mm rear disk. 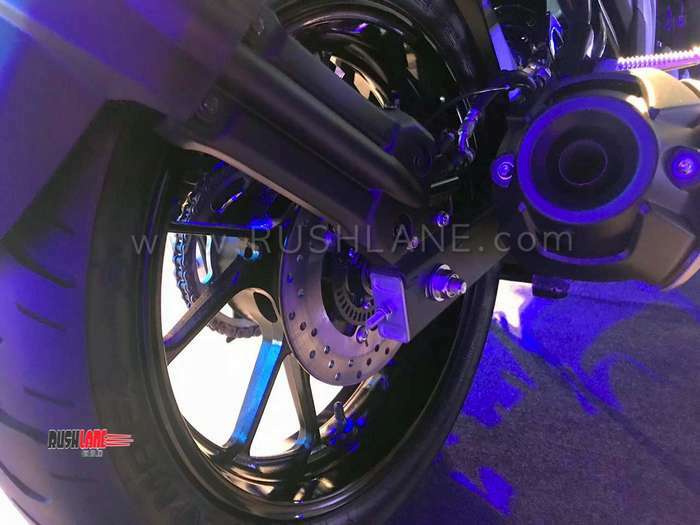 Similar setup is on offer with the FZ25, as far as mechanicals are concerned. 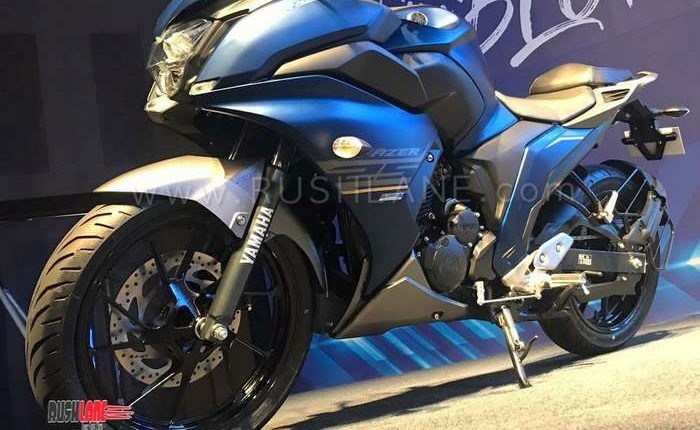 But in terms of looks, the FZ25 is minus the fairing seen on Fazer 25. Alloy wheel size is at 17” fitted with 100/80-17M/C (52P) and 140/70-17M/C (66S) front and rear respectively. 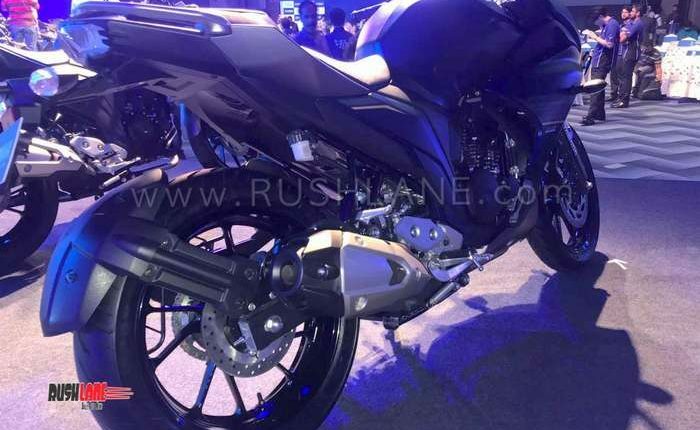 Both motorcycles, FZ 25 and the Fazer 25 are powered by the same engine. 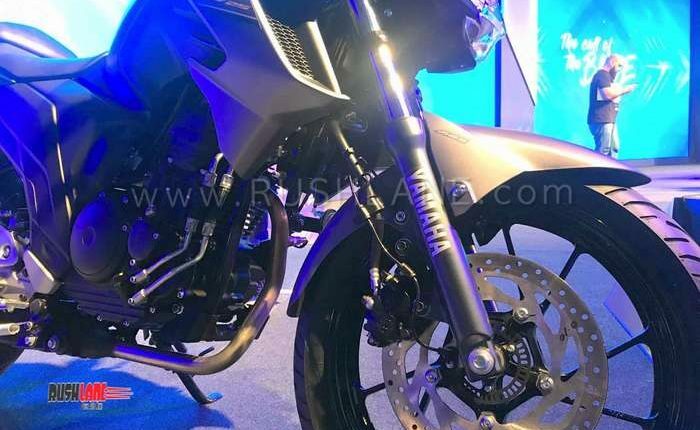 This is a 250cc air cooled single cylinder engine offering 20.9 PS peak power at 8,000 rpm and 20 Nm peak torque at 6,000 rpm mated to a 5 speed gearbox. Both the bikes command acceleration from 0 to 100 kmph in 10 seconds and top speed of 140 kmph. On board features include an LED headlamp, 2 new LED positioning lamps, an all digital instrument console with features such as dual trip meter, instantaneous and average mileage and a digital clock. It also receives a tachometer, speedometer and odometer offering the rider instant values while riding. 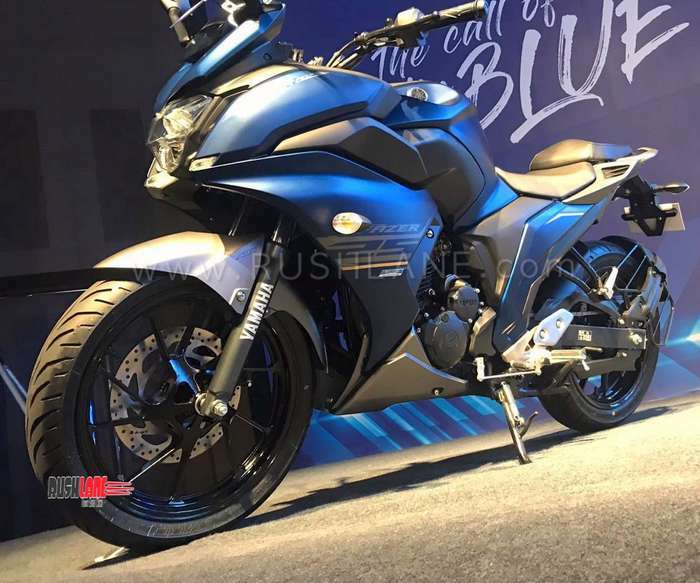 New color options are seen on these two models with the FZ25 offered in Dark Matte Blue, Matte Black and Cyan Blue and the Fazer 25 presented in dark Matte Blue and Metallic Black. 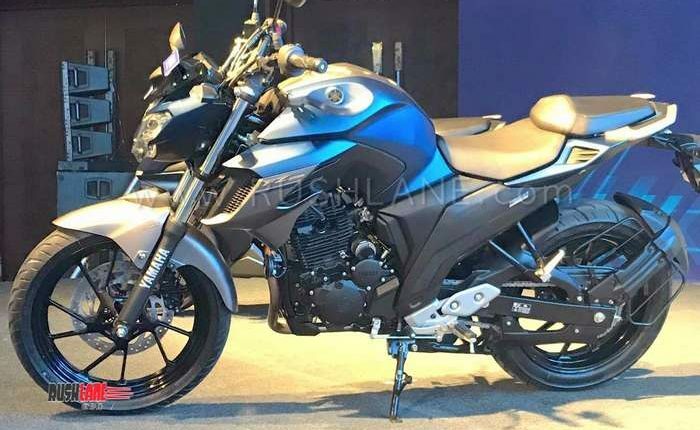 In addition to the Fazer 25 and FZ25, Yamaha also announced the launch of FZ V3 and the FZ-S V3 single ABS in India today, prices start from Rs 95k. 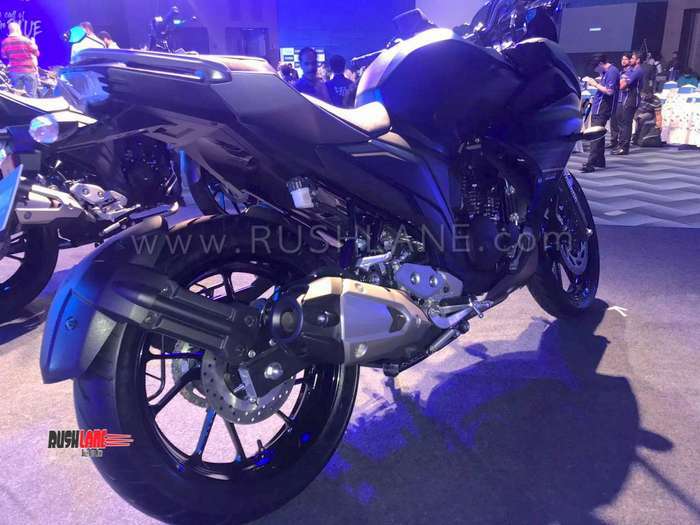 Also present on the stage, was the matte black version of the Yamaha R15 V3, called Darknight. It is priced from Rs 1.41 lakhs, ex-showroom. It is also equipped with dual ABS.